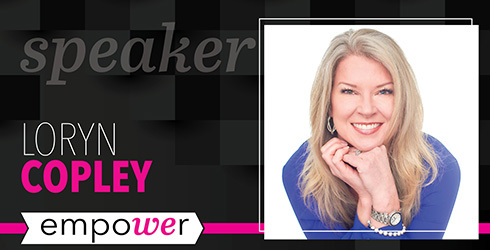 The Greater Scranton Chamber of Commerce has announced Loryn Copley as a speaker for this year’s Empower conference. Loryn Copley is an entrepreneur who is passionate about helping people enact positive changes in their lives. Her career began as a graphic designer in Manhattan, and during a falling economy, experienced the financial setbacks many are experiencing today. This inspired her to take control of her income and create her design business, Moxie Creative Group, in 2004. She continued to pursue ways to create multiple streams of income. In 2014, she stepped into the “gig” economy and discovered a fulfilling profession that enabled her to have a physical and financial impact on other people’s lives. She is driven to educate people on the alternative ways to make more money today, why it’s necessary, the questions to ask, and the options available.